Add style to your working week with a bag from our business range. We pair functionality with luxury to create a product that looks good in the office. Handcrafted from vegetable tanned Italian leather, these men's leather work bags are sure to make a professional statement. Since the launch of our first Italian leather briefcase, the Paolo, we've accessorised men around the world with sleek luxury briefcases. If you want to make an impact with colleagues, yet yearn for a functional and well-organised solution to your current business case, then we provide a superb array of ideas. Whether you’re looking for something small and sleek or a briefcase that’s a little more spacious, we have a large range of versatile cases to suit your needs in classic tan, chocolate brown and black. Our men's business bags really are second to none, handcrafted by Italian artisans in the heart of Tuscany using skills passed down through generations. We source our leather from one of the most renowned tanneries in Italy, ensuring that each brief case is created from the highest quality materials. 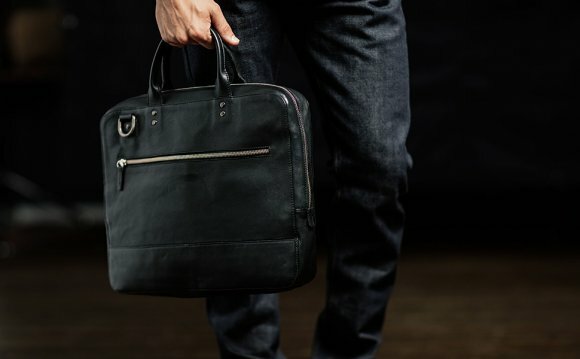 We’re so confident about the quality that each leather work bag comes with a 25 year warranty, guaranteeing that your quality leather briefcase for men will become a lifelong companion.